The Internal Revenue Service is seeking to force UBS Group AG to turn over records on an account in Singapore held by a U.S. citizen, potentially opening a new front against offshore tax evasion beyond Switzerland. The IRS last month asked a federal judge in Miami to force UBS, the largest Swiss bank, to produce documents on Ching-Ye Hsiaw, who lives in China. The judge on Wednesday told UBS to show up in court on March 31 to explain why it has refused to supply the account records. The U.S. has focused largely on Switzerland in recent years as it has fought offshore tax evasion. More than 80 Swiss banks, including UBS and Credit Suisse Group AG, have agreed to pay a total of $5 billion or so in penalties and fines. The question is where the IRS and the Justice Department will turn next as they sift through a trove of data gathered from Swiss banks and from more than 50,000 U.S. taxpayers who disclosed their accounts to avoid prosecution. The case is United States v. UBS AG (SD FL. 16-mc-20653).. US Petition to Enforce Summons, here. IRS Agent Declaration for Petition to Enforce Summons, here. A person or entity located in the United States may have control over documents located abroad that the IRS wants to review in connection with an investigation. For example, a foreign bank might have a United States branch and the IRS may seek documents located at the bank’s foreign headquarters. E.g., In re Grand Jury Proceedings (Bank of Nova Scotia), 691 F.2d 1384 (11th Cir. 1982). Similarly, the IRS may want to review documents of a foreign accounting firm that is controlled by an accounting firm located in the United States. Cf. In re Parmalat Sec. Litigation, 594 F. Supp. 2d 444 (S.D.N.Y. 2009) (holding in a tort suit that Deloitte & Touche USA had not established that it was entitled to summary judgment based upon its claim that it did not control an Italian accounting firm which was a member of the same accounting group as Deloitte & Touche USA). See also United States v. Vetco Inc., 691 F.2d 1281 (9th Cir. 1981) (affirming order enforcing summonses issued to U.S. company and to its U.S. auditing firm for records maintained in Switzerland by the company’s Swiss subsidiary and the auditing firm’s Swiss affiliate). The key is that there be someone with power to actually produce the documents in the U.S. jurisdiction to impose sanctions. UBS is present in the U.S. and thus is sanctionable. The issue as in all BNS summons is whether the U.S. court will inflict enough pain or potential pain on UBS that UBS will comply regardless of the pain that Singapore could inflict for violating Singapore law..
2. The facts alleged in the Agent's declaration seems to make out at least a prima facie criminal case. (I discuss the potential criminal case in more detail below in par. 4.) Two things flow from that. First, Hsiaw could assert his Fifth Amendment privilege to refuse to give any testimony that might incriminate him. He is in China with no apparent plans to return (Agent Decl ¶ 9), so how much practical value his Fifth Amendment has is speculative. Second, since he is in China with no apparent plans to return, the criminal statute of limitations will be suspended for tax crimes while he is out of the country. Section 6531, here. 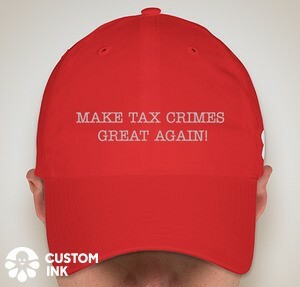 He apparently let the U.S. in January 2008 (Agent Decl ¶ 7), so the six year statute for tax crimes means that his tax years are open for prosecution of tax crimes back to at least 2002. And, some of the facts alleged in the declaration might suggest that he committed some act in that period that refreshed the statute of limitations for even earlier years..
12. Based on information that Switzerland disclosed to the IRS under the Convention between the United States of America and the Swiss Confederation for the Avoidance of Double Taxation With Respect to Taxes on Income and pursuant to a settlement of the John Doe summons that the IRS served on UBS in 2008, the IRS learned, inter alia, that Hsiaw maintained a bank account at UBS in Switzerland, referred to herein as the Swiss account. See In the Matter of the Tax Liabilities of John Does, Case No. 08-mc-21864 (S.D. Fla.); United States v. UBS AG, Case No. 09-cr-60033 (S.D. Fla.), at Doc. 20, ¶¶ 13-14, and Doc. 32. 22. No Justice Department referral, as defined by 26 U.S.C. § 7602(d)(2), is in effect with respect to Hsiaw for the years under examination. See Oertel Decl., at ¶ 39. 6. Of course, the bigger news is that this summons enforcement proceeding presages an IRS and DOJ move against Singapore whose financial institutions have offered tax haven with bank secrecy to U.S. persons for many years. Even if Singapore's bank secrecy laws, as UBS contends, preclude disclosure of the summoned bank records relating or pertaining to Hsiaw's Singapore account(s), international comity requires that the records be disclosed. See Oertel Decl., at ¶ 34. The interest of the United States in combating tax evasion by U.S. taxpayers through the use of secret foreign bank accounts substantially outweighs the interest of Singapore in preserving the privacy of its bank customers. See Oertel Decl., at ¶ 34. As a consequence, judicial enforcement of the summons is required. See Oertel Decl., at ¶ 34. Neither the petition nor the declaration provides any support for that conclusory allegation. International comity in this case would seem to be a matter between the U.S. and Singapore, not the U.S. and UBS. I will look forward to the briefing on this issue. 7. If, as is likely, this works, the U.S. will have a powerful tool to crack Singapore secrecy and, as with the initial UBS summons way back in 2008, this may start a series of events that requires Singapore to open the kimona to the U.S. at least for the more egregious instances of U.S. person use of Singapore banks for U.S. tax evasion.